Whether you’re a patient or a caregiver, long term care beds can provide unparalleled comfort, safety and convenience for more than a few reasons. Using one of these beds can ultimately improve the quality of life of the patient and minimize potential physical strain for the caregiver. Before we get into the advantages of using these adjustable beds, let’s explore what these beds are and what they can do! What are long term care beds? Also known as nursing home beds, these beds are typically used in assisted living facilities, rehab centers, and long term care facilities, but can also be used in the privacy of one’s own home. These beds come in a variety of sizes, including larger and more durable beds for bariatric patients. Some of those beds have the ability to support up to 600 pounds. Unlike traditional hospital beds, nursing home beds fit the needs of their patient and can be adjusted accordingly. For instance, these beds may be lowered or raised to provide personalized comfort and ease of use for caregivers. Keep in mind, if you think yourself or a patient may benefit from using an adjustable nursing home bed, it’s important to first speak with a physician or caregiver. They can help you decide what type of bed may be most useful for your condition or ailment. There is a long list of benefits to having an electric nursing home bed for both patients and caregivers. For patients, these beds can provide optimal comfort for a variety of conditions. Because nursing home beds are ordered and sized specifically for the patient, they prove to be a cushy place to rest. When positioned up or down, these beds can facilitate healthy blood flow and improve circulation for patients with limited mobility or those who spend long periods of time in bed. 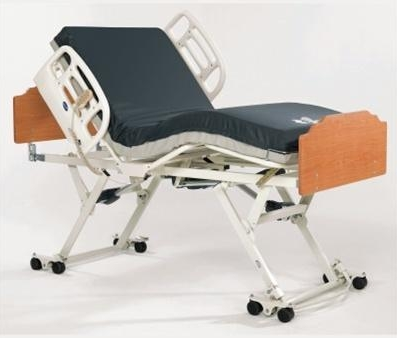 These adjustable beds may also be accessorized for the patient. Whether it’s an upgraded mattress or custom handrails, long term care beds are designed to fit the safety and comfort needs of the patient completely. 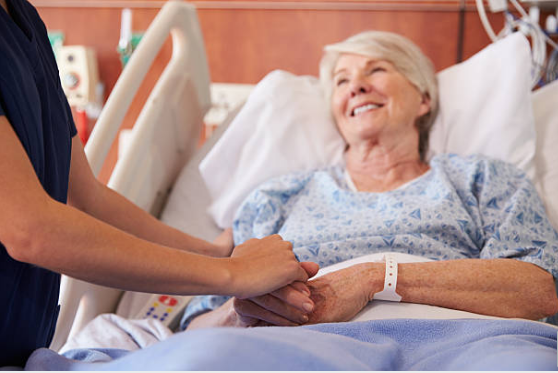 At Preferred Health Choice, we offer a variety of long term care bed solutions to meet all your needs. If you think that purchasing one of these beds might be the right decision for you or your patient, please take a moment to browse our selection. Have you used any of these beds or have experience with a long term care bed? Share your thoughts in the comments!